The Master Minds hitches its wagon to the not uncommon Avengers trope of dark deeds done under the veil of night. 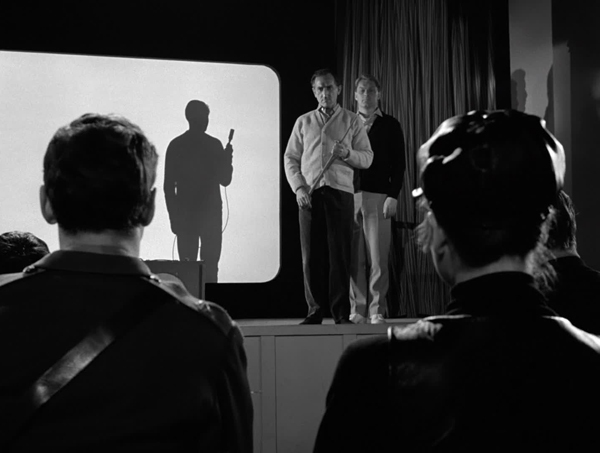 We previously encountered it in The Town of No Return, but Robert Banks Stewart (best known for Bergerac, but best known genre-wise for his two Tom Baker Doctor Who stories; likewise, he also penned only two teleplays for The Avengers) makes this episode more distinctive, with its mind control and spycraft, while Peter Graham Scott, in his third contribution to the show on the trot, pulls out all the stops, particularly with a highly creative climactic fight sequence that avoids the usual issue of overly-evident stunt doubles. 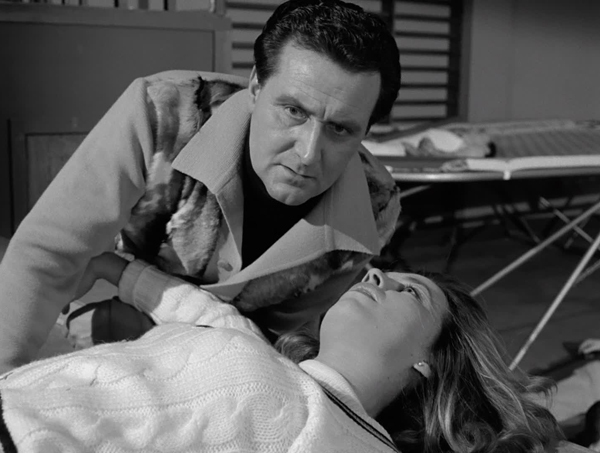 This was only the second Emma Peel episode filmed, but the chemistry – and dialogue – between Steed and Mrs Peel is fully-formed. 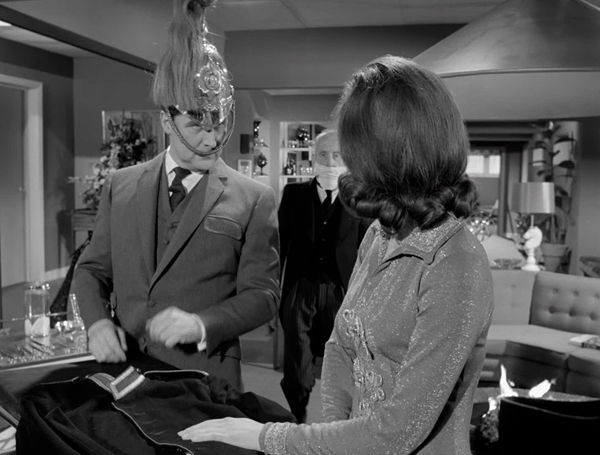 Picking up a regular pattern, Emma works undercover while Steed assumes the role of the outsider making inquiries. In this one, though, an added twist is that Emma falls under the spell of the brainwashing techniques designed to make members of RANSACK somnambulantly carry out thefts of top secret information (in this case “The possible successor to Polaris. Gone. Snatched. Just like that”). 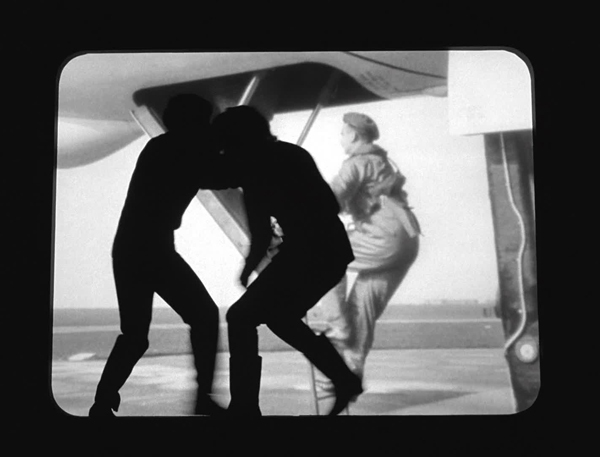 As the shallow like us blog notes, this makes for something of a precursor, tonally, to Doctor Who’s Robot, but it also has something of a Prisoner vibe in the pop visuals staging of the grand climax, the fight between Emma and the architect of the scheme taking place in silhouette against footage of jet tests. Steed: Behind them there must be a brilliant planner at work. The plot mixes elements both obvious and clever. 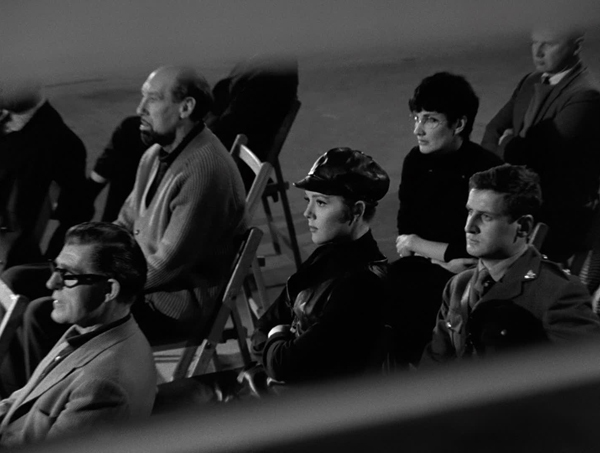 It scores when it’s going for the mysterious – what happened to Sir Clive Todd (Laurence Hardy), with unsettling strings on the soundtrack resonant of Under the Skin as he tries and fails to remember his actions, and Steed following the RANSACK members at night as attend a briefing - less so when it comes to obfuscating the engineers of the plot. 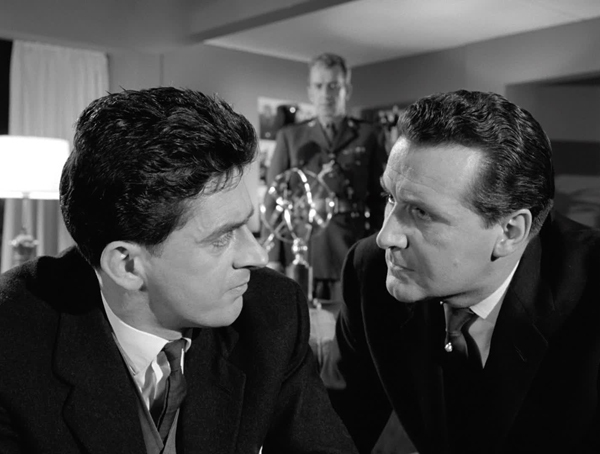 There’s never any doubt that RANSACK is behind it all, particularly when Desmond Leeming (Bernard Archard) rocks up conveniently and announces himself – it’s almost as if they want to come under suspicion. 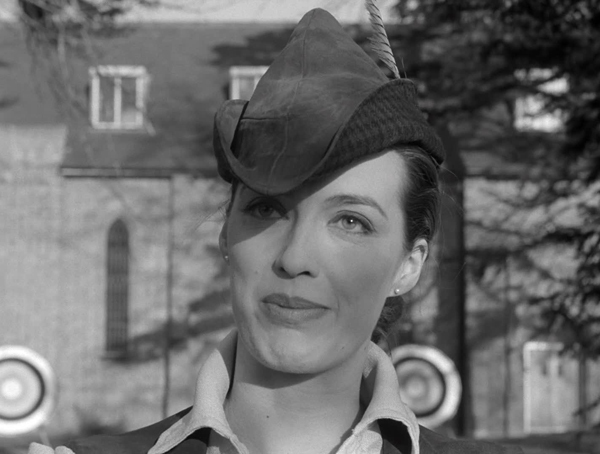 Holly Trent’s identity as the ringleader works to the extent that Patricia Haines plays up the oblivious, but much better in this regard is Ian MacNaughton, giving off something of a ’60s Peter Capaldi vibe as Doctor Fergus Campbell, instantly appearing dubious in manner, then proving to be dubious, then proving to have only been dubious because he was under the influence. 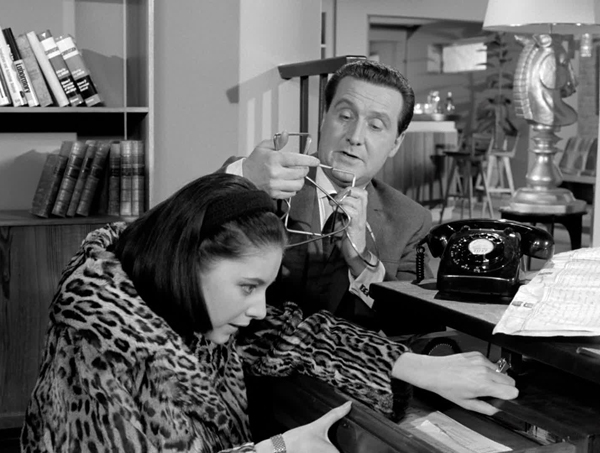 Steed: By the way, what did you manage to straighten out in the navy? 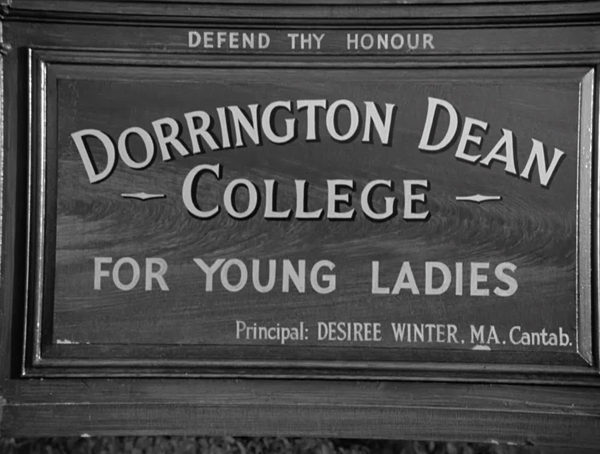 Steed: Traces of an incipient inferiority complex. I should watch it. 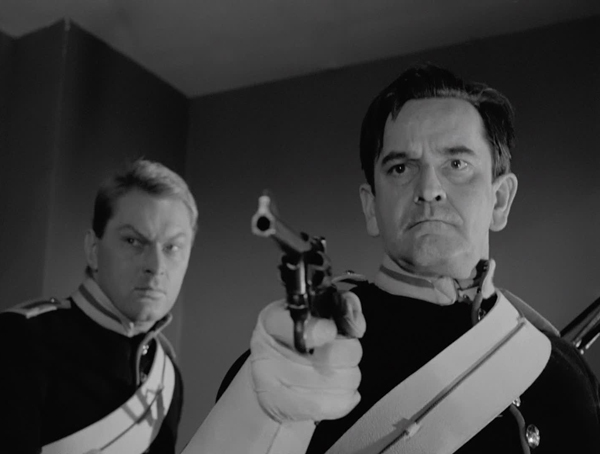 The very best Avengers are often ones where the guest cast are elevated to equal status with the regulars, and I don’t think The Master Minds, MacNaughton’s role in the first half aside, quite succeeds in that regard. 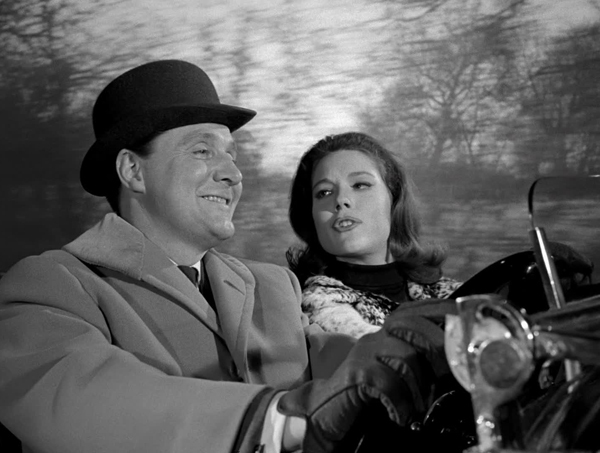 It has to be said, though, Steed and Emma are marvellously accounted for here, and Steed’s verbal sparring with the truculent Campbell, brought in to assess the mental status of Sir Clive (who has committed a robbery under the influence and receive a gunshot to the head for his troubles), is great stuff. Campbell launches into Steed’s levity (“Your facetiousness, Mr Steed, covers an edgy temperament. In fact, I’d say your nerves mostly jangle like a wire in the wind”) and receives a casually effective putdown from the gentleman spy in response (above). 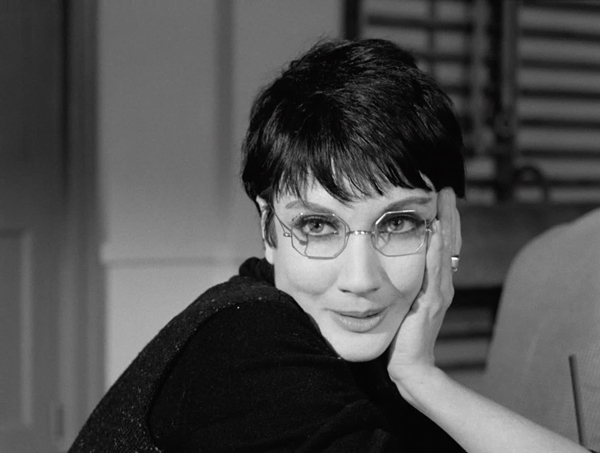 Steed: How was your intelligence quotient? Mrs Peel: Well above average. Mrs Peel: Roughly the same. But that’s hardly surprising since I also did your paper for you. And Steed’s flippancy is in good evidence throughout, uncensored in front of his superiors (“Caught with his own portcullis down” he notes of Sir Clive’s predicament), who are shocked to find Todd is a member of another gang, “besides your own gang”. One of the most enjoyable aspects, however, is Steed falling into line as capable but inferior to Emma in many an endeavour. 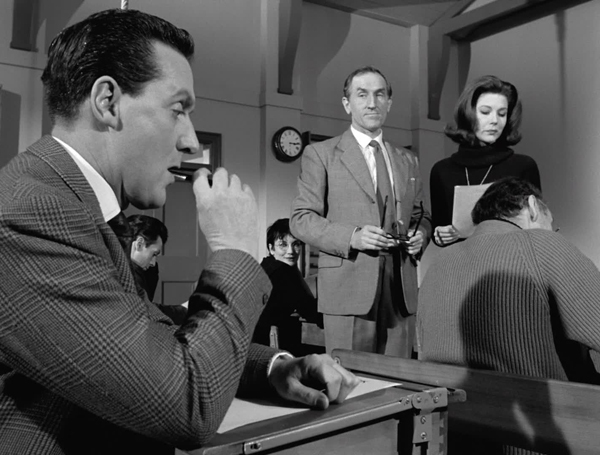 The best instance being his blanching at the thought of taking the RANSACK test, only for it to look as if he passed with flying colours and then the reveal the only reason he did is because Mrs Peel did his test for him. 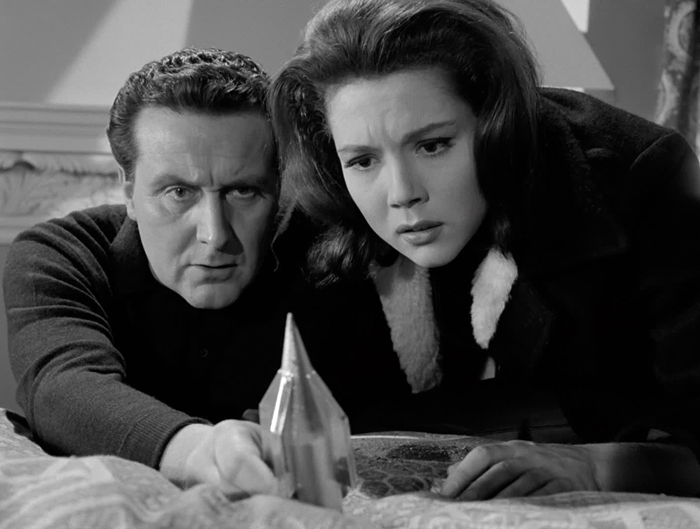 Mrs Peel: There’ll be another test paper tomorrow. Mrs Peel: Here are the answers. 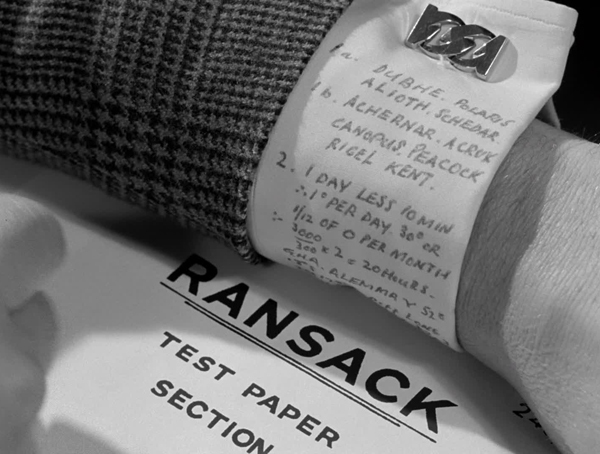 Even with the answers scrawled on his cuff, Steed manages to fail a later test (“I added sixty on, and now you’re a genius”). Not that he isn’t as quick and sly as ever. 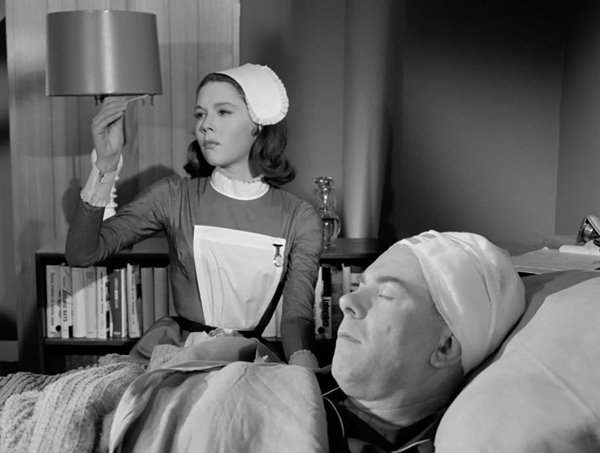 His digs at Emma’s Florence Nightingale routine, tending Sir Clive, elicits “I don’t think that should concern you, Mrs Peel. You’re only the nurse here” when she asks about the clues he hopes to find in the residence. Davinia: I’m going to scream in a moment. Steed: Oh dear, I hope not. 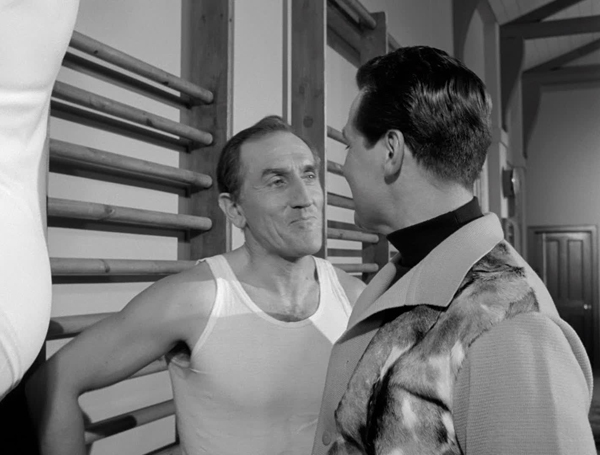 Elsewhere, he’s in full Leslie Phillips mode, right down to the “Hello!” when confronted by Georgina Ward’s Davinia Todd, arriving home in fur coat and bikini, or a bespectacled boffin (Elizabeth Reber) making eyes at him during a test, or Holly asking him out. His reaction to the sign saying “If you can’t sleep ring for a mistress” needs no additional comment either (RANSACK’s training operations are taking place at a girls’ boarding school), while Emma’s “Here’s your cocoa, and if you’re good, I’ll read you a bedtime story” is alive with playful innuendo. 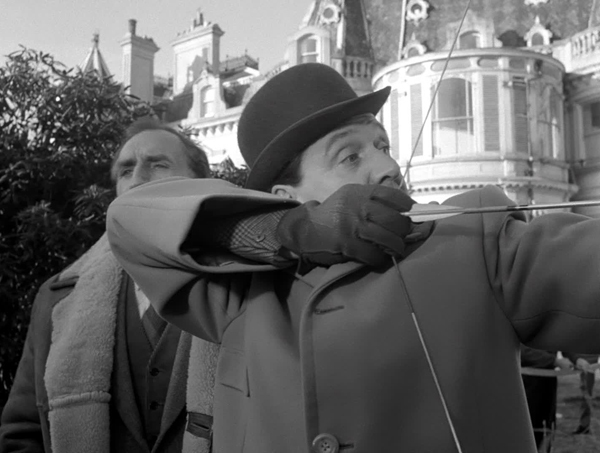 There’s even room for the occasional slapstick moment, as Steed, distracted by Leeming, accidentally shoots an arrow through a window. 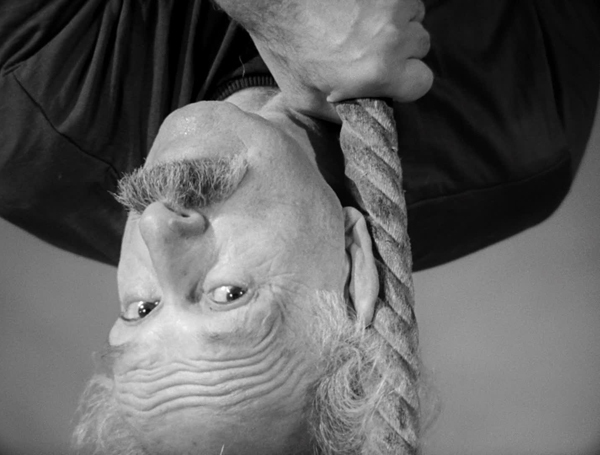 The Master Minds isn’t quite as brainy as its characters overall, however; the attempts at discussions by members of RANSACK are a bit suss (“Take a word like yoghurt, for example”), and while the brainwashing technique has the mechanism of substance (“We’re all susceptible. It’s the approach which varies, that’s all”), there’s very little to it when push comes to shove (all it takes is a message heard in one’s sleep, and presto, it’s highly effective for all concerned), but it continues the consistently confident quality of the fourth season with commendable flair.